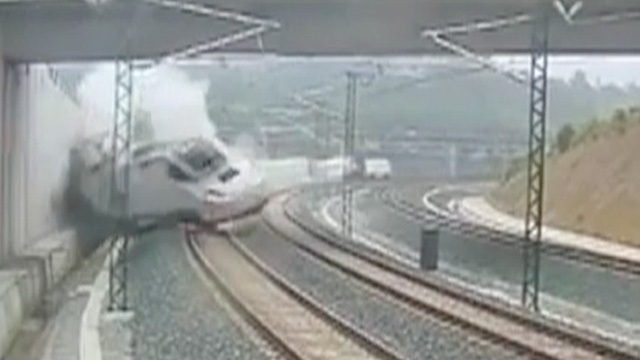 This high speed train crashed in Santiago de Compostela, Spain, and after coming into a turn at twice the recommended speed for that part of the course. The train reportedly was moving at about 112 miles per hour, when it should have been at 50 miles per hour. 80 people were killed, and many more were injured.